The Hack-N-Akron event was conceived by Launch League and Wastebits and had the support of the City of Akron. About two dozen young professionals in Akron spent part of the weekend volunteering to make the city’s data more publicly available. 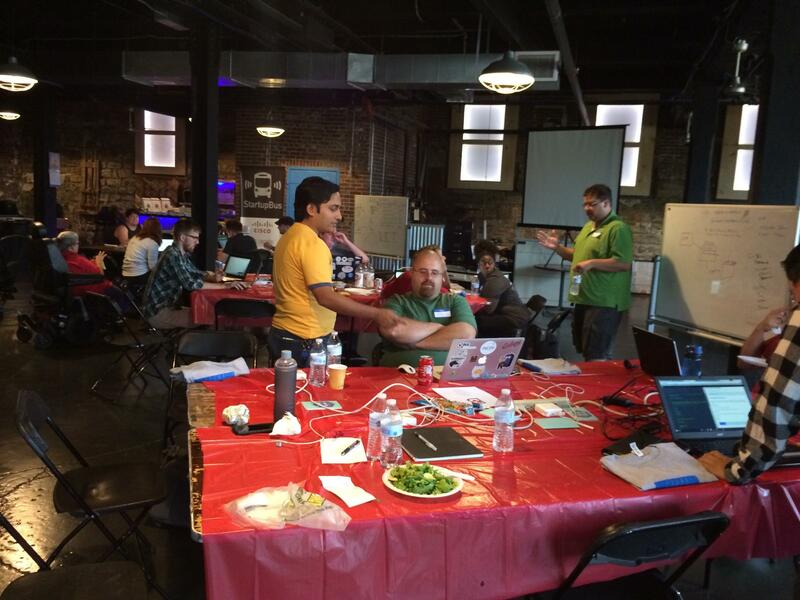 WKSU’s Kabir Bhatia reports on the Hack-N-Akron hackathon. The name conjures images of coders infiltrating computers to get sensitive data, but the Hack-a-thon was actually trying to do the opposite: taking publicly available city data – such as property lines -- and putting it into a digital form that can be accessed by anyone. Byron Delpinal was one of the organizers of the event, and says the idea is paying dividends in other cities by allowing people to bypass the lengthy public-records-request process. Delpinal adds that the idea is paying dividends in places like Los Angeles. Hack-a-thon organizers say Akron’s data was delivered both on paper and in a variety of electronic forms, and that they see more volunteers working on civic hack-a-thons in the future. The federal transportation department has awarded the city of Akron $5 million to help transform Main Street into more than just a thoroughfare. Akron Chief of Staff James Hardy says the federal grant will pay for phase one of the transformation project scheduled to start in the fall of next year. That will include making the street more walkable and bikeable, creating more green-space, and making it more attractive to people who might consider living downtown. A new study looks at the impact of Akron’s influx of immigrants since the turn-of-the-millennium. The report shows that Akron’s population decline has been slowed with the arrival of more than 2,000 immigrants in the city between the year 2000 and 2013.